Peter Brusse (1936) worked for more than twenty years as a correspondent for the Volkskrant and NOS in Great-Britain. Currently he writes necrologies in English style for the Volkskrant. 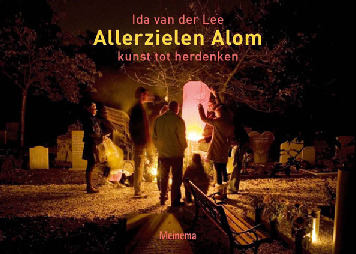 For the Allerzielen Alom publication he wrote an introduction including his memories of All Souls’ Day as a child. Initiator of Het Moment (The Moment), training for ritual counseling by separation, now a recognised vocation curriculum. Theologian, television host and columnist. Every Monday she is the host of the NCRV programme ’Schepper & Co’ (Creator and Co). During one programme just after All Souls’ Day, she payed special attention to modern rituals, in particular, Allerzielen Alom. 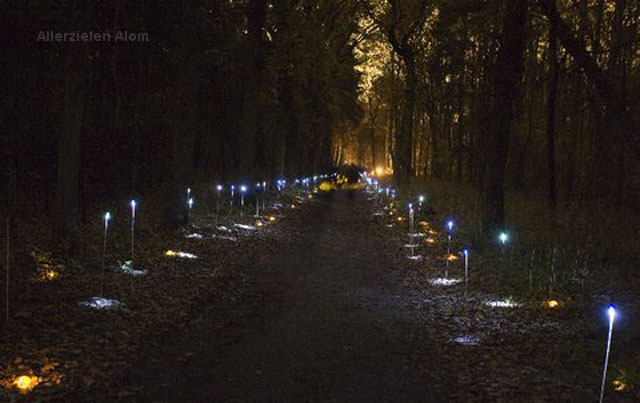 Jacobine Geel was part of the jury for the Yarden prize which was given to Allerzielen Alom in 2008. Citation from the report from the Yarden prize jury: ‘A valuable and special project. Although “All Souls’ Day” can bring up an association with traditional ways of looking at life, it is an inviting way to fit old traditions and rituals of grief in our modern lives, regardless of belief. The need to remember is great. The project reduces the suffering and at the same time stimulates dealing with grief. On the other hand, it helps to break the taboo which still seems to hang around ‘death’. The jury is impressed with the continuous influx of original material, the broad (national) applicability, and the enthousiastic reception which Allerzielen Alom has received. Art historian, freelance writer, board member of the foundation Stichting Josine de Bruyn Kops. Taught art history at University of Amsterdam, Faculty of Humanities, until 1997. Gerard Rooijakkers (1962) is adjunct professor for Dutch ethnology in the Faculty of Humanities at the University of Amsterdam. This chair is part of the Meertens Institute. He received his Ph.D. in 1994, conducting research over the historic folks culture in North Brabant. He has published on religious folks culture, visual culture, festivals and rituals, material culture, and museology. Ko Schuurmans is liturgist for the Haarlem diocese. He (1947) studied sociography and theology. He worked in higher education in the priesthood, and is part of the pastoral services of the Roman Catholic diocese of Haarlem – Amsterdam as liturgist and coordinator. He teaches volunteers and priests-in-training in the area of rituals and liturgy. CHARON funeral counseling. Funeral and ritual counselor, ritual counselor of the year 2007. Professor for anthropology of religion. Member of the Faculty of Religion. Research: ‘Refiguring death rites’. Venbrux investigates how people from different cultures and religions deal with death.